We want you to feel at home in our hotel – your comfort is our priority Our friendly team is always at your service. Unser freundliches Team ist gern für Sie da. 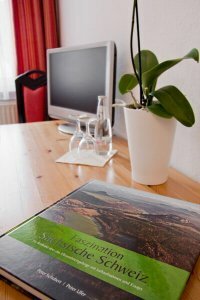 Enjoy your stay at Hotel Grundmühle in Bad Schandau – Krippen, a family-run B&B. Comfortable lodging for visitors seeking active recreation or rest and relaxation. After a peaceful night, you begin your day in our hotel with a delicious breakfast. 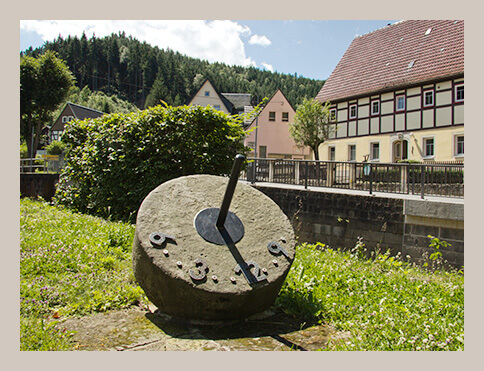 You can then go out into the exciting environment of the Elbe Sandstone Mountains on top form. Do make use of the public transport; only the guests at our hotel have free and unlimited access to it. After your day’s activities, you can relax on our spacious terrace and sunbathing lawn or in the beer garden. 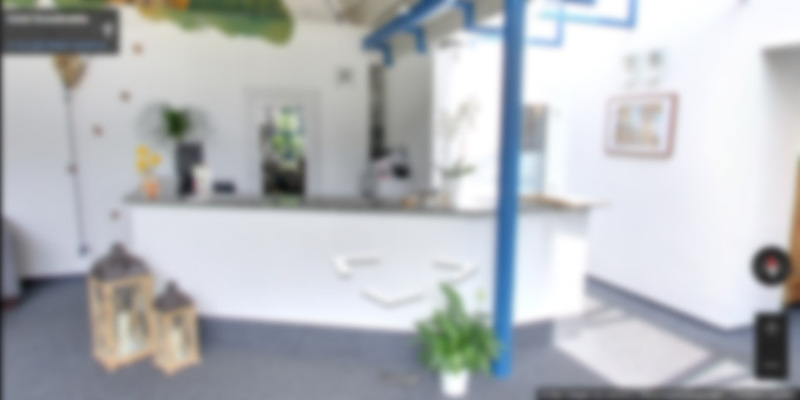 You are also welcome to relax in the lobby, conservatory, bar, and the Mühlenstube of our hotel. 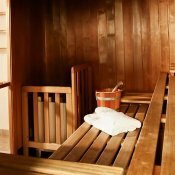 Or you may prefer to relax your tired limbs in our small sauna. 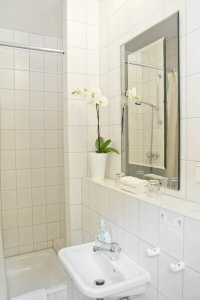 Our hotel has 43 small, well-furnished rooms equipped with: Bathroom with either bathtub or shower, hair dryer, flatscreen TV and radio. 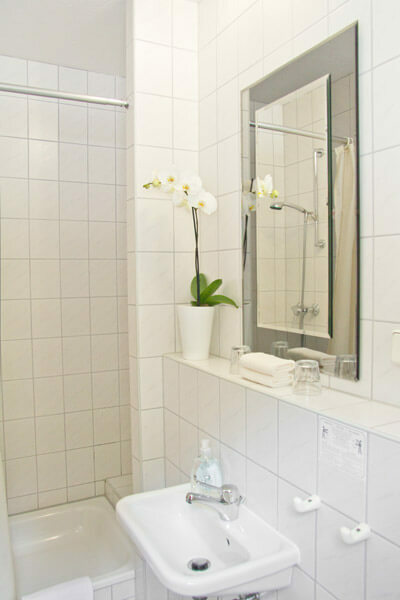 Our hotel has 43 small, well-furnished rooms equipped with: Bathroom with either bathtub or shower, hair dryer, flatscreen TV and radio. Single occupancy possible in all double rooms. Baby cots or additional beds for families with children on request. Please also note our particularly favourable terms and conditions for junior guests. 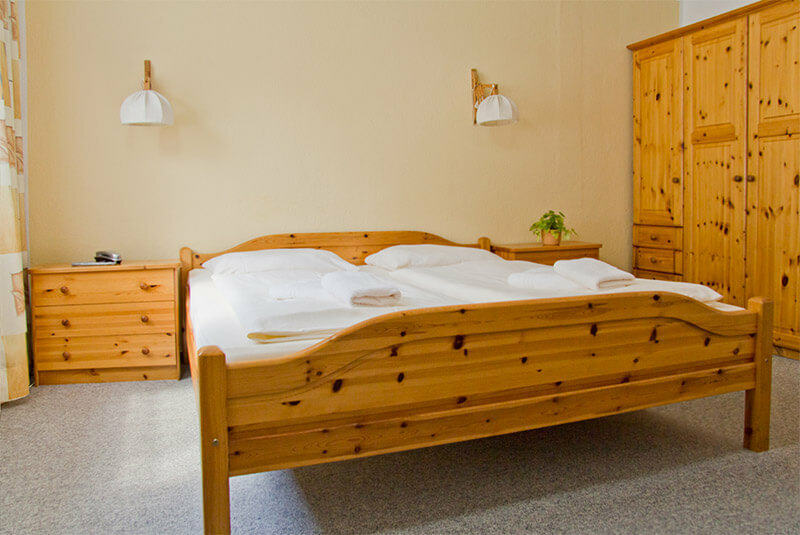 There are two wheelchair accessible double rooms, and common areas are all wheelchair-friendly. For current prices & prices and availability click: Booking. Come on in, and get to know our hotel on this little tour. Come to our Finnish sauna after an adventurous hike in the Elbe Sandstone Mountains, relax your tired limbs, put your feet up, and enjoy your evening. 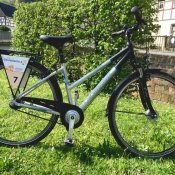 Thanks to our in-house bicycle rental you can leave your bike at home and reach comfortably but still enjoy the pleasure of cycling. Explore the enchanting Elbe valley by bike.